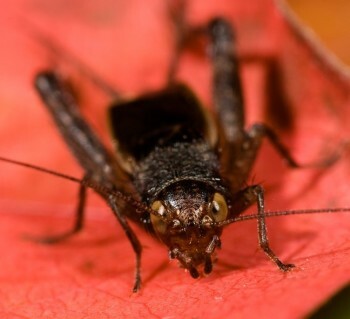 Song of an Allard’s Ground Cricket (scroll down for explanation and additional recordings!). The cheery, musical trilling of the common and widespread Allard’s Ground Cricket is a sure sign of summer. Named after naturalist Harry A. Allard (1880–1963), who studied stridulation in insects, these small black crickets can be seen scurrying away from your feet as you walk in dry, open grassy areas. Close inspection reveals that individuals are covered with long hairs used to constantly monitor their surroundings. Favored habitats include lawns, parks, pastures, and roadsides. 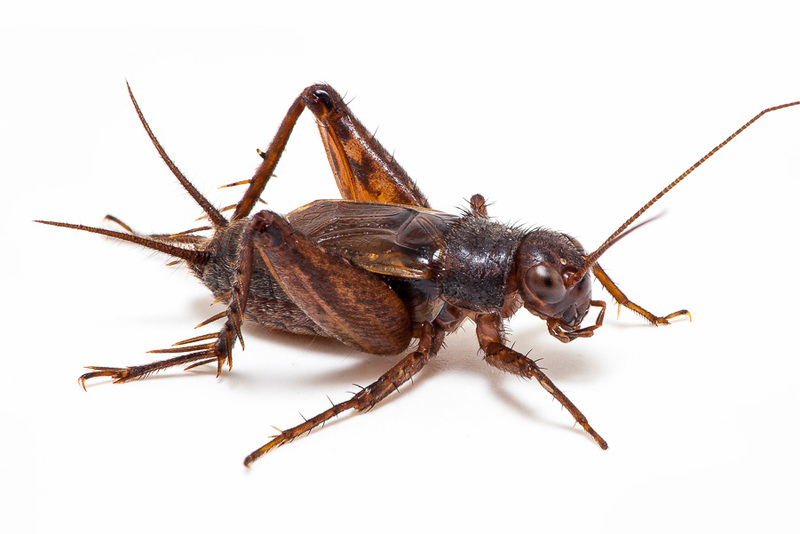 When cold weather arrives, these little crickets often find their way into houses. It is a pleasant surprise to suddenly hear a male Allard’s singing his lovely trilled song from inside your home. 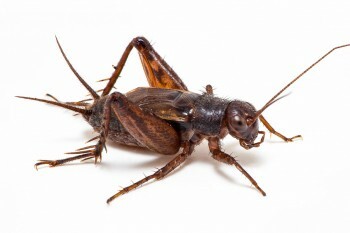 Allard’s Ground Crickets range from northern Maine, south through the Carolinas to central Georgia, west to northern Texas, and back north to northwestern Montana. Common over most of its range. Song: A continuous, even trill composed of pulses given at a rate of about 10–16 per second (too fast to count), with a dominant frequency of about 7 kHz. Pleasing to the ear. Sputtery trills are given when males interact (see the additional recordings at the end of this page). Sonogram of an Allard’s Ground Cricket. © Wil Hershberger. http://songsofinsects.com/wp-content/uploads/insect_musicians_allards_ground_cricket_fight.mp3Calls heard when male Allard’s Ground Crickets interact.